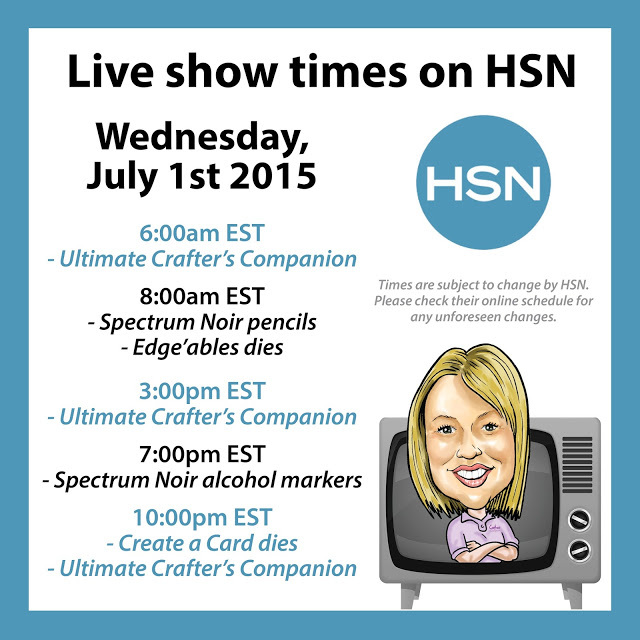 Crafter's Companion HSN Blog Hop!! Hello friends! Today, the Crafter's Companion UK and US family are together, having a super fun blog hop showcasing the products that are going to be on HSN tomorrow!! Sara Davies is back again and this time we want to show you all the fun products and what you can create with them! 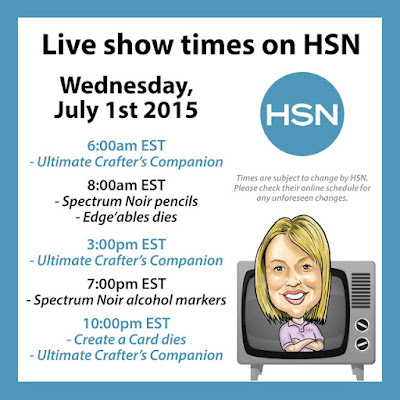 I invite you to check the Crafter's Companion US Facebook Page to see Sara's HSN schedule! This is the card I created for you, showcasing a couple of dies that will be at the show! Start with a White card base 5.5" x 6". Die-cut a Lattice Ornate Create a Card front in Pink Pearl Shimmering Cardstock. I die-cut the center piece with circle dies. Adhere Lattice piece on white card base. Cut a 0.25" strips of Yellow Pearl Shimmering Cardstock and adhere it to card. Die-cut an Edgeable's Just for You in Candy Red Shimmering Cardstock. Adehre it to card with foam adhesive. Die-cut a Cabbage Rose in watercolor paper and color it with Spectrum Aqua Markers. Die-cut leaves from Green Envy Shimmering cardstock. Add rose and leaves to card with foam adhesive. Add pearls and twine. Plus, all of my teammates are giving away stamps or dies...make sure you hop along to everyone’s blog, and leave comments to win their fabulous prizes! And be sure not to miss the huge prize packs on the Crafter’s Companion US blog and over on Sara Davies’ blog! You have until Wednesday, July 1st at midnight (EST time) to leave a comment!! Good luck and enjoy the hop! Hello friends! Happy Monday to you all! Since Independence Day is just around the corner I want to show you a card I made this weekend, just for fun! Love the "Patriotic Pride" set from Crafter's Companion. I think this set is perfect for 4th of July, troops or any patriotic festivity. For this card I stamped the flag and sentiment in blue and red, just keeping it simple to showcase the national colors. I added red and blue cardstock behind the sentiment as well as stitches. The final touches were red and blue rhinestones. Start with a 6" x 6" Scored Bright White Card. Cut a couple of pieces of patterned paper and adhere them to card base. Skin: 009, 89, 90, 96, 100. Hair: 011, 014, 016, 084, 087, 091, 093. Watercan: 112, 113, 115, 116. Adhere image to card base, draw a border with a fine black pen. Die-cut clouds in white and coastal pearl shimmering cardstock, adhere them to card. 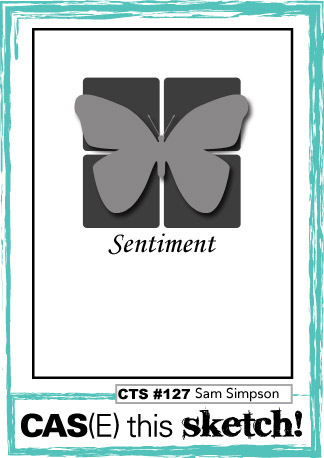 Stamp sentiment, die-cut and emboss it with rectangle dies, add it to card with foam tape. 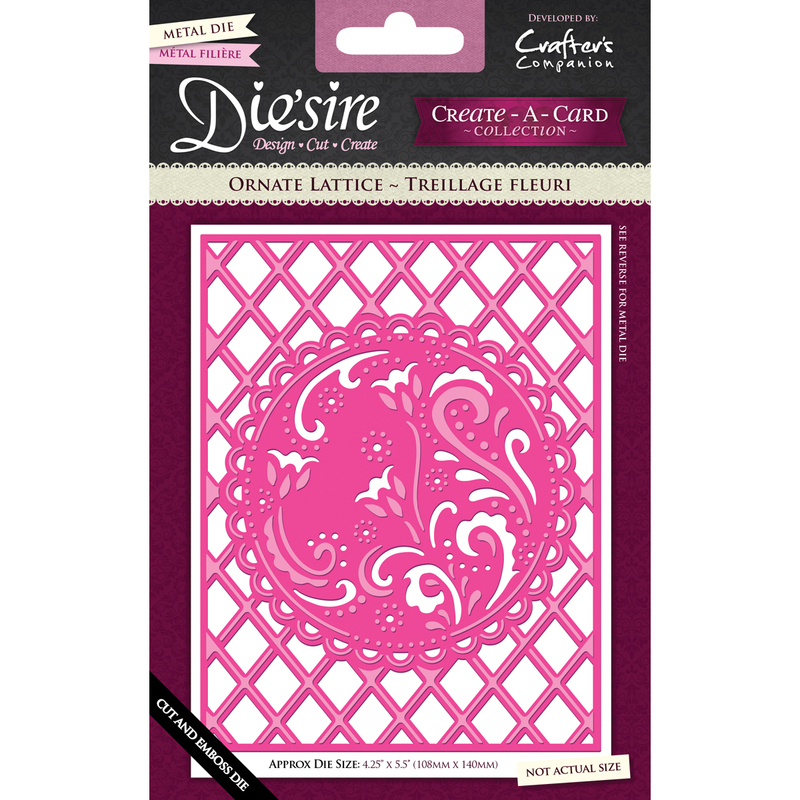 Die-cut Daisy Border Die, color it as desired, adhere it to card. Die-cut a Country fence and cut out the grass par and adhere it to card. Word Art Wednesday; Anything goes. If you are on Facebook, you should take a peek of the samples posted there. Hair: 087, 088, 090, 098, 099. Skin: 002, 004, 009, 034, 089, 096, 100. Curlers: 029, 031, 034, 036. Bubbles: 001, 061, 065, 112. Bathtub: 001, 016, 112, 114, 115. Added stitches and distressed the edges of the panels, this is a 6" x 6" card. I think this image is super cute, what do you think? New winner Summer Coffee Lovers Blog Hop!!! Taunya, please send me an email so I can give you your GC code!! Hello friends! Today I have a super cute and sweet baby card! I used this new Die'sire Classiques Only Words "Welcome to the family" die. You can check out all the collection HERE. Create a card base from Kraft cardstock, 5" square. Cut a panel from Coastal Pearl Shimmering cardstock, 4.5" square. Cut a panel from Ultra White Premium Cardstock, 4.5" square. Emboss white panel with Clouds embossing folder, then sponge it with Tumbled Glass Distress Ink. Die-cut a circle from Yellow Pearl Shimmering cardstock, then dry emboss it with clouds folder and match it with white piece. Adhere it to card with foam adhesive. Die-cut stars using Bebunni Floral Stars Die in Yellow Pearl Shimmering cardstock. Adhere them to card. Die-cut a white cloud using Head in the clouds die and adhere it behind circle. Die-cut "Welcome to the family" in Coastal Pearl Shimmering cardstock and adhere it to circle. Embellish piece with sequins and dots. Hello friends! Hope you all are having a fantastic day! Sharing today a tutorial I created for CutCardStock. It's a very simple card showcasing the Pop Tones Cardstock from CutCardStock. I cut a piece of Pop Tone Whip Cream to 5" x 3.75", added Copper embossing paste to a Pop Dotty stencil. Simon Says Monday Challenge: Don't cut, just paste. Hello friends! Hope you are starting a great week!! 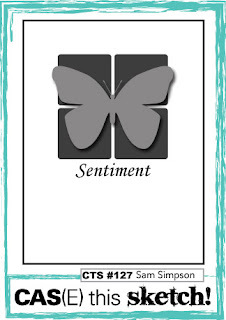 Yesterday, I crafted for awhile, I colored a lot of images for new releases, promise to share them with you as soon as I can, one of the images I colored just for fun was this beautiful butterfly from Crafter's Companion, I have to say I have another idea in mind for this project, but sometimes your ideas don't turn the way you want them, but I like how this turn out. Stamp sentiment on bottom part of card base in St. Valentine StazOn ink. Stamp butterfly on a piece of watercolor paper in Versamark Watermark Ink, then add white embossing powder and heat set. Color butterfly with Spectrum Aqua markers starting with Peach, Blossom, Begonia and Scarlet. Color background squares with Magenta markers. Add piece to card base with foam adhesive. Virginia's View Challenge; Monochromatic/Ombre Challenge. 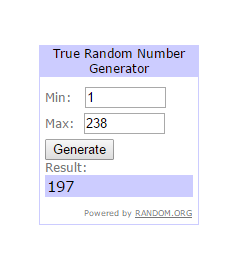 Summer Coffee Lovers Blog Hop Winner! !